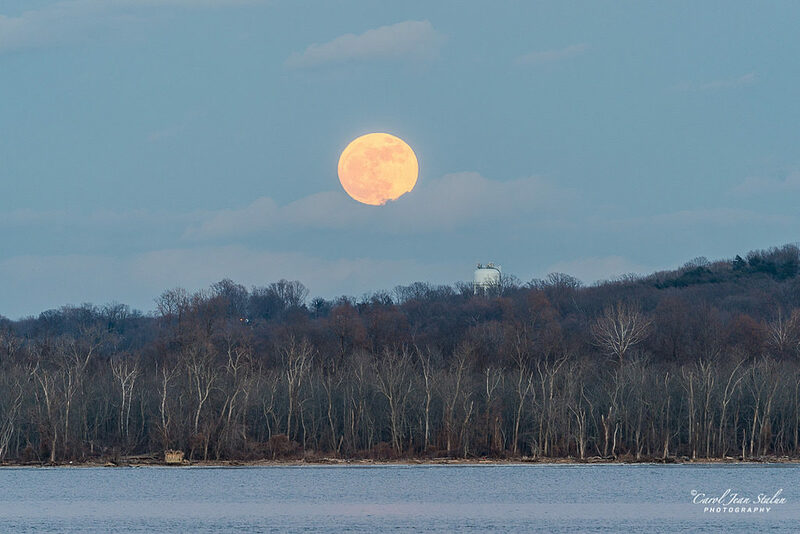 Great shot by Carol Jean Stalun of the supermoon, rising over the Potomac River on January 1, 2018! A supermoon occurs when the moon is at its closest point to our planet; this proximity presents photographers with a great opportunity to capture it on camera. Since a full moon rises at the same time that the sun sets, a photographer can capture a partially day-lit landscape and a stunning sunset/sunrise composition with the moon. To get the clearest and most crisp photograph I suggest using a sturdy tripod, a high-resolution camera, and a remote shutter release. For more information and tips, check out our interview with photographers discussing their experience with night sky photography.